‘I did not choose pastry, I fell in love with it”. Curios about the hospitality industry, Chef Kris started his career as a waiter and soon after realized his deep love and passion for pastry. 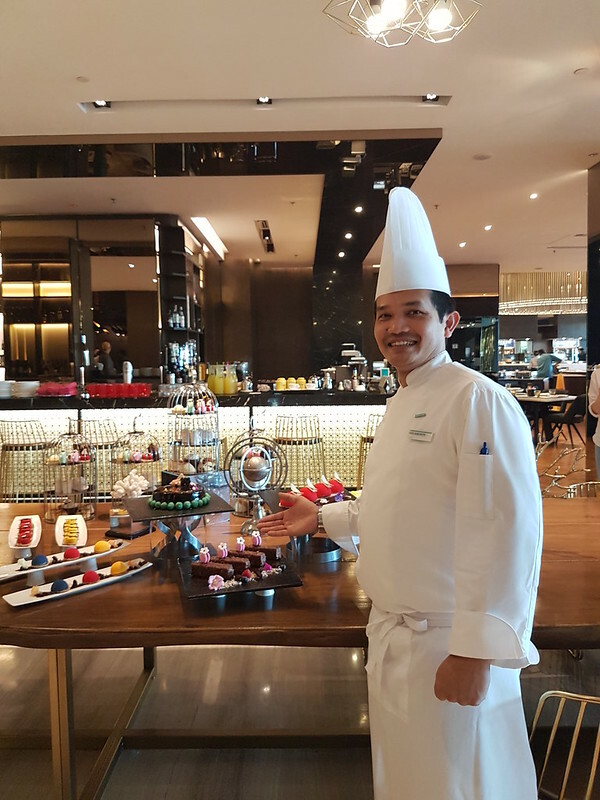 Born in Jakarta, Chef Kris served in several leading hotels in his hometown including Jakarta Hilton International, The Regent Four Seasons and Park Lane Hotel. Chef Kris knew in order to improve himself and upgrade his skills, he needed to spread his wings bigger and decided to join One&Only Resort Maldives in 2003 as the Chief Baker. He then had a two-year stint at Constance Lemuria Praslin Seychelles before returning to One&Only Resort after the GM persuaded him to return. Chef Kris is no stranger to the hospitality industry in Malaysia. With Nexus Resort Karambunai as his first base in 2007, his resume includes Equatorial Hotel Penang as well as Shangri-la Tanjung Aru Resort. 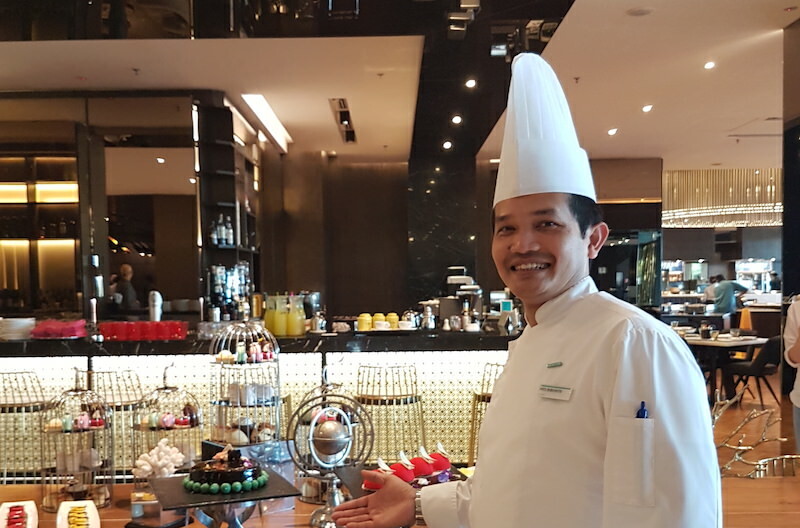 He could not refuse the opportunity to join Amilla Fushi Resort Maldives as the Executive Sous Chef, but as he misses his days in Sabah, Chef Kris decided to come “home” where he joined Le Méridien Kota Kinabalu as the new Executive Pastry Chef. Though he is a man of many skills and talent, his passion are desserts. 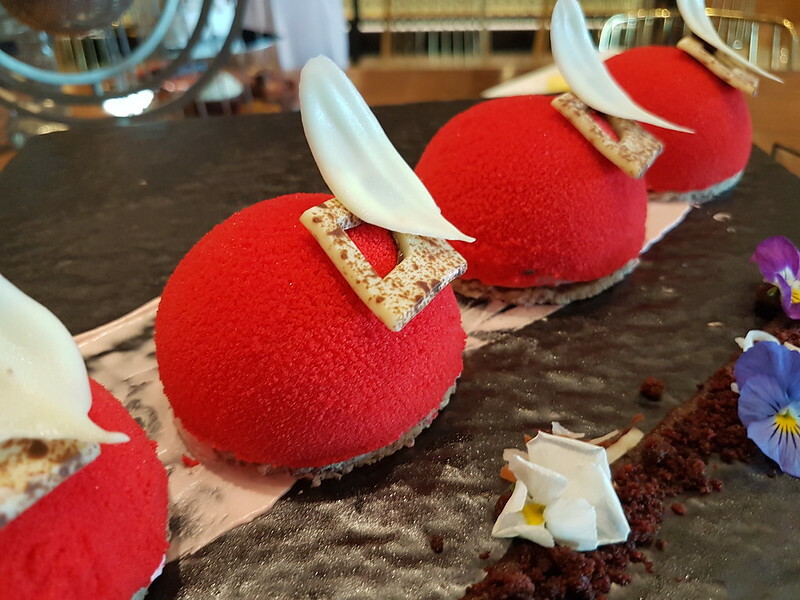 Plating his masterpieces as well as making impressive pastry showpieces are the things that he loves about his work. Doing pastries allows him to make, and transform his ideas into beautiful and delicious creations. His inspiration to create comes from the people he meets as well as local flavors, culture and heritage which he infused into his crafts. With 25 years of experience as a Pastry Chef, Chef Kris is never shy from sharing what he has learned. “I am proud of my skills. A healthy dose of pride and self-ego is essential in the food service industry; it is the drive you need to continuously improve and do outstanding work for you to stay at top of the trade. As a chef, the excellence and quality of what we create, and how the guests respond to what we serve is the most important”. 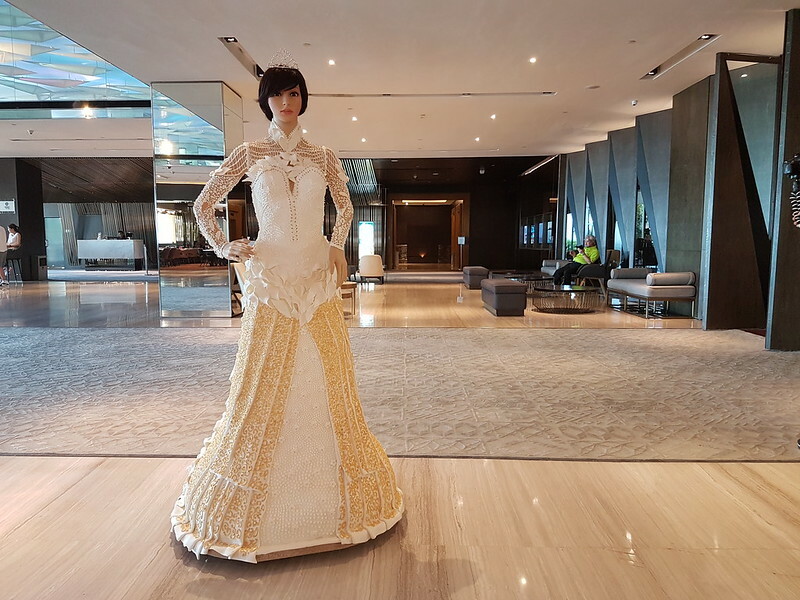 Chef Kris introduced his biggest project yet, “Chloe Tisha”, a mannequin dressed in a classic wedding dress made out of icing sugar. Chloe Tisha which means “blooming joy” weights 30kg of icing sugar and it took Chef Kris 270 hours to complete. “I was inspired to design the wedding dress after watching a TV program featuring chocolate body paint. Like a fashion designer, I want to create patterns and motifs out of icing sugar and assemble it together like a dress maker. Same concept, just different method”. Chef uses icing sugar, gelatin, egg white, vinegar and lemon juice to make the paste. “The key is to know the correct measurement to ensure the icing sugar is stronger and long lasting than your edible fondant,’ explains Chef Kris. He hopes to create more outstanding wedding cake centerpieces including a chocolate bride. Chloe Tisha will be on display in the lobby of Le Méridien Kota Kinabalu, and everyone are invited to visit and at the same time enjoy Chef Kris’ signature desserts including Peckle Opera Cake, Spiced Raspberry Creameaux Dome, Le Méridien Almond Chocolate Cake and rice tapai with local fruits.